A page documenting research into the very early history of Sheerness Sailing Club (now IOSSC). 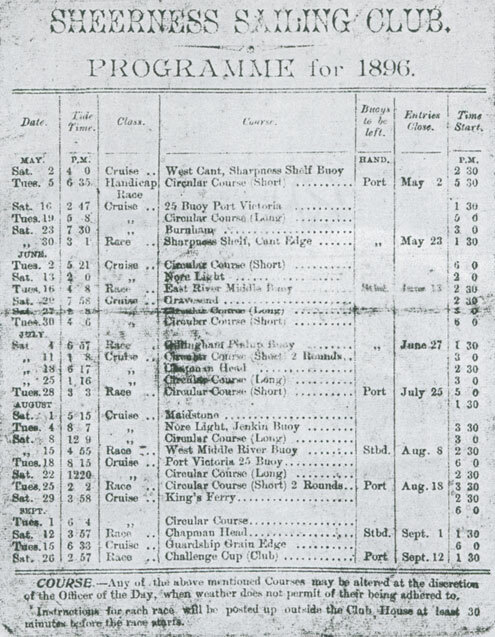 This was prompted by the discovery of an 1896 sailing programme (as below), but initially very little else. Treasurer: J. T. French, Esq. Hon Sec. : E. Street, 15, Ranelagh Road, Sheerness. COURSE. – Any of the above mentioned Courses may be altered at the discretion of the Officer of the Day, when weather does not permit of their behing adhered to. Instructions for each race will be posted up outside the Club House at least 30 minutes before the race starts. 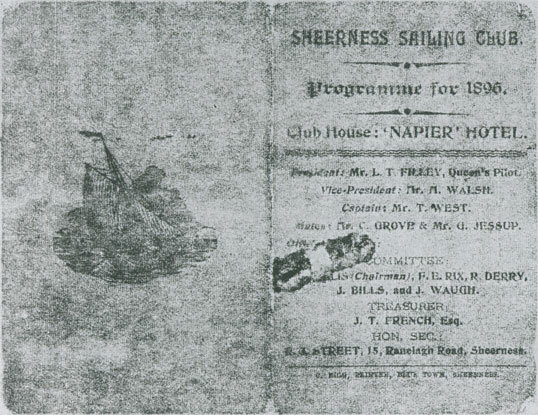 The Sheerness Sailing Club appears to have originally used the Napier Hotel (which still exists), as a clubhouse. There used to be a slipway at the end of the jetty near the Napier Hotel, and this may have been used as a landing point by members of the club. 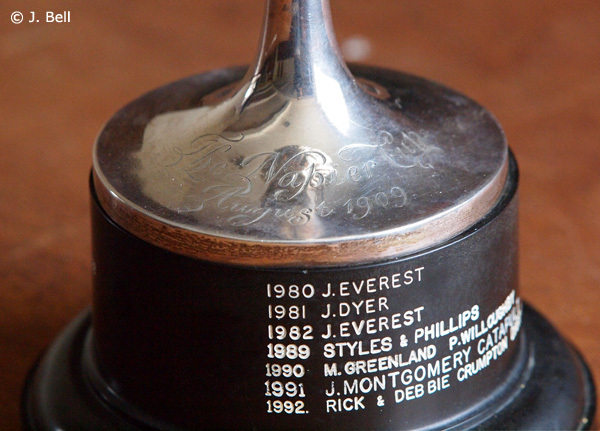 The Napier Cup, donated in August 1909, and still in the IOSSC’s possession. Notes: Cruising and racing every Tuesday and Saturday from May to September. 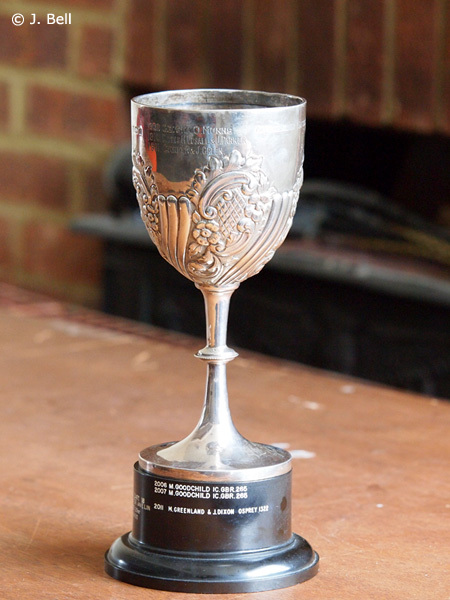 Cup competed for at end of season. Committee: Mr. W. Board, Mr. Smith, Mr. H. Stobbart, and Mr. Wildish. Weekly races on Saturdays starting at 3pm. First race Sat, May 19th. Last race, last Saturday in September. The Sheerness Sailing & Motor Boat Club is now the Isle Of Sheppey Sailing Club. Alexandra Yacht Club, founded 1873. Medway Yacht Club, founded 1880. Essex Yacht Club, founded 1890. Thames Estuary Yacht Club, founded 1947 (Westcliff Yacht Club, 1900; Nore Yacht Club 1895).